This is not a “recipe” so much as it is simply a secret: the secret to making a gluten-free gravy taste as good as (if not better) than it’s traditional roux-based buddies. To be honest, I’m still shocked that this actually worked. You’ll need a heavy-duty blender, like a Vitamix or a Blendtec. 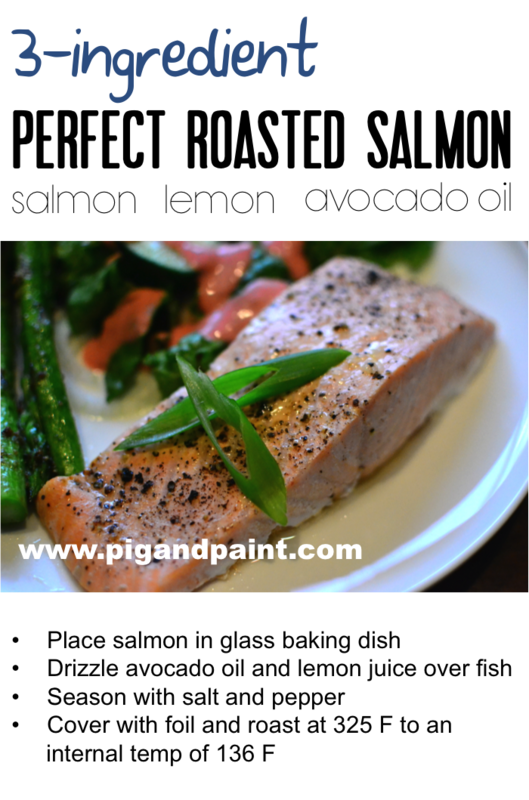 And you’ll need pan drippings from whatever protein you roasted. I made this discovery after roasting a turkey, so I'll be referring to that here and there, but I've used this technique successfully with chicken, pork, and prime rib, and I am not joking when I say that this gravy is SO good, you will want to slather it all over your body (that is, if you didn't already gulp it down with a straw). The secret is -- are you ready? 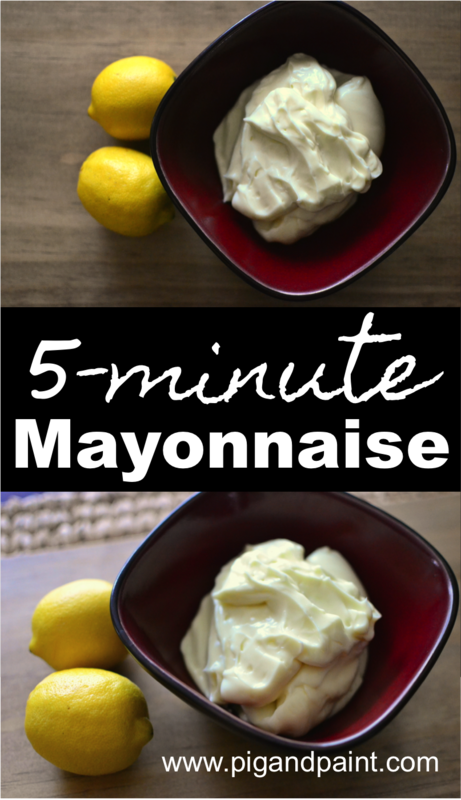 -- cashew cream. That’s it. I stumbled upon cashew cream as I’ve had to deal with a recent dairy intolerance over the past year, and through trial and error, discovered that it’s very effective at thickening sauces and soups. So, when presented with the challenge of producing a Whole30 gravy, I debated arrowroot powder (per the interwebs) or experiment on my own with cashew cream. I am SO glad I went with the experiment. Sanity-Saving Tip: Go with the flow! There are too many variables to give you a precise gravy recipe — sometimes the protein produces plenty of drippings, and other times, not so much. Just feel it out, taste as you go, and trust that everything will work out deliciously. When you are ready to make your gravy (after your roast has come out of the oven), start making your cashew cream. Add water and cashews to the blender, and blend on high until creamy and smooth. Remove large solids from the drippings (if any). Over medium-low heat, add some stock or bone broth to your drippings, and stir. 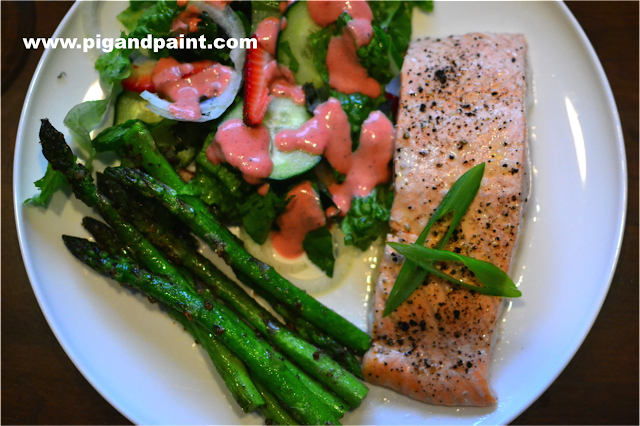 Then, start whisking in your cashew cream, a little bit a time. It will start to thicken up as the cashew cream heats up. 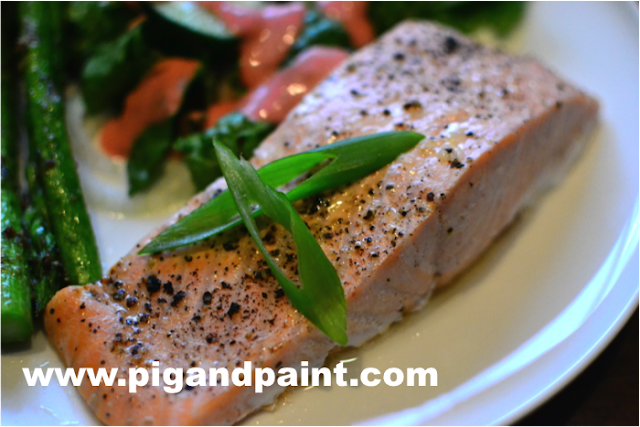 Adding a little at a time ensures that you control the flavor and thickness. Taste as you go. I ended up using all of the cashew cream I made (for reference, my turkey was about 14 pounds). Add salt and pepper to taste. Once the gravy has reached the desired thickness, remove from heat and serve. Leftovers will keep well in the fridge. Just add a tiny bit of stock or broth when you reheat it to loosen the gravy up a bit. 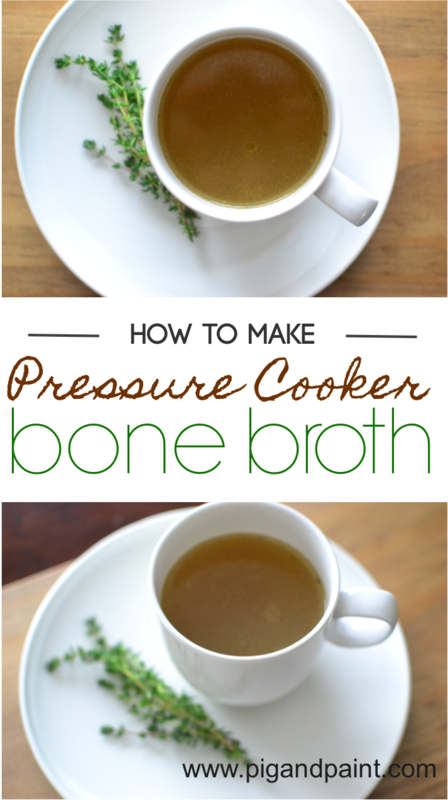 Since purchasing my Instant Pot pressure cooker, bone broth is regular staple in our house. No longer do I have to wait 2-3 days to have rich, gelatinous broth – the pressure cooker gets it done in two hours! At a bare minimum, you’ll need bones, water, and apple cider vinegar, which I’ve noted below with an asterisk (*). I’ve included my favorite aromatics to include as well, but don’t fret if you are lacking anything. Just use what you have! Sanity-Saving Tip: Store up bone broth supplies in your freezer. I’m talking veggie scraps, excess herbs, leftover bones from dinner, and so on. Instead of throwing these things away, toss them in a freezer bag for a rainy day. 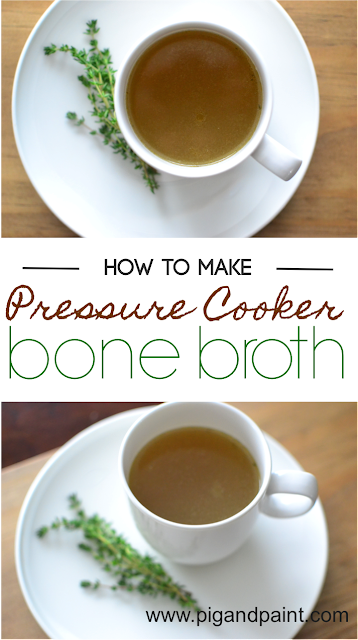 Toss all ingredients in your pressure cooker, and fill with water until bones are just covered. Cook on high pressure for 2 hours. Remove bones, and strain. That’s it! Enjoy in a mug with sea salt, or use in any recipe calling for broth/stock. My family gobbles up these delicious pancakes every Saturday morning — it’s become a favorite family tradition. These are gluten-free and can easily be made dairy-free (we use cashew milk in our house). You can also mix grassfed collagen peptides into the batter for extra protein (we like this one by Vital Proteins). Sanity-Saving Tip: This recipe is intentionally large, so that you can make a big batch and then reheat the leftovers throughout the week. Add all ingredients to blender -- except for eggs and oil -- and blend until desired consistency is reached. I like my batter to stay a little chunky and rustic, but my family prefers the batter super smooth. Add eggs, and pulse until incorporated. If your batter is too thick (which may be the case if you use chia seeds), add more milk. 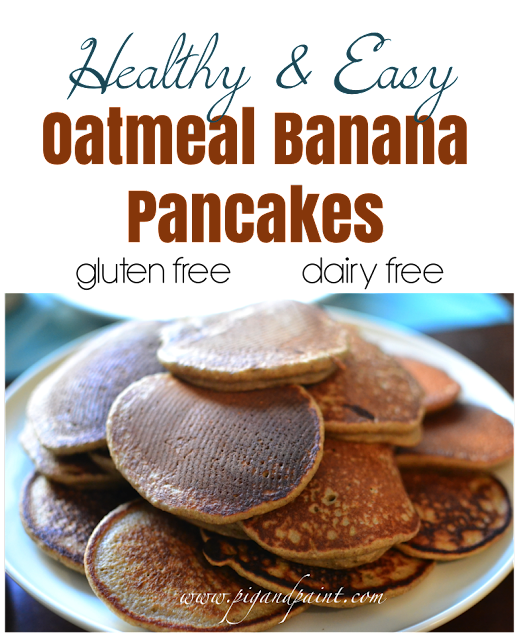 If batter seems too loose, add more oats. You want it to be on the thicker side, but still pour-able. Heat skillet on medium heat until super hot. Lightly grease pan with avocado or coconut oil. Using a large spoon, pour batter into rounds on pan, flipping once the bottom side becomes golden brown (approx 2-3 minutes per side, depending on the thickness of your batter). Serve with maple syrup. Or serve the way my family does: with peanut butter, fresh strawberries, and maple syrup. Here are a few different variations you can try as well! During the fall, we like to pumpkin spice up these bad boys by adding 1 tsp each of ground ginger and ground cloves to the batter. And shhhh...you didn't hear this from me, but a friend of mine sprinkles chocolate chips onto these pancakes while they are sizzling on the griddle. Can't go wrong with chocolate! 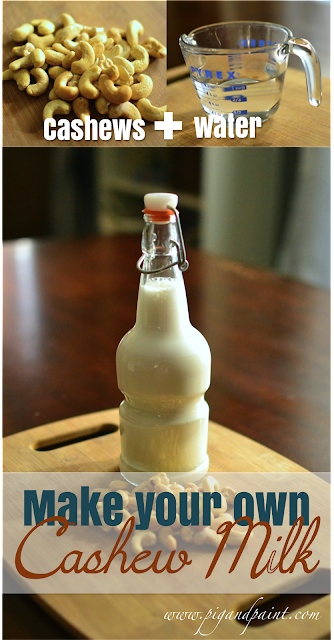 If you're dairy-free, or just looking to broaden your culinary horizons, cashew milk is an amazingly versatile choice. It's neutral, creamy, and incredibly versatile in cooking applications. Cashew milk and cashew cream have become favorites in our home. You only need two things to make cashew milk or cashew cream. The first is obvious: cashews! I highly recommend raw (i.e. not roasted), but if you can't find them raw (tip: Costco often carries them), roasted will work fine. Just be sure they are unsalted! The second and final ingredient is water! Easy enough, right? The best part about cashew milk and cashew cream is that, unlike almond milk, there is NO STRAINING REQUIRED! You just blend and use. Blend on high for about 45 seconds in a high powered blender, like a Vitamix. If you're not using a Vitamix, you may need to blend for a longer period of time, until the cashews are completely liquefied and incorporated. With my recent baby posts, I realized I had a couple of almost-finished posts from the days of yore sitting in draft form. So, I put the medal to the metal and wrapped this one up as a treat for y'all, as a thank-you for listening to me talk about my babies. Let's get to it! People get pretty divided about wallpaper. I've seen responses ranging from squeals and dreamy sighs to dry heaving and eye twitches. Personally, I fall into the high-knee-happy-dance crowd when it comes to wallpaper. I think it's the bomb-diggity, and I've not hesitated to use it in my home. With that said, I've never wallpapered an entire room -- in fact, I've never even wallpapered an entire wall. Wallpaper is so much more than simply a wall-covering. So, let's talk about the dark side of wallpaper for a moment: removal. Once upon a time, I helped my mother-in-law remove wallpaper as part of a bathroom makeover. Fast forward a few years. My husband sweet-talked our then-landlord into letting us remove this horrid pink and teal butterfly / floral wallpaper that was slathered all over the only full bathroom in the condo we were renting at the time. It seriously looked like Lisa Frank vomited her entire sticker collection all over the walls. You'd think after those two experiences that I'd come to my senses and realize that wallpaper is not worth the trouble. Yet, here I am, still a fan. Wallpaper has come a long way in terms of ease of removal, so my fingers are crossed I have no issues when or if I decide to remove my wallpaper installations. It's a versatile tool in my design toolbox, especially when you factor in the added benefits of wall liner. Wall liner is like spanx for super textured or rough walls -- it smooths out the lumps and bumps. You can buy wall liner in the wallpaper section of stores like Home Depot and Lowes, or you can buy it online. 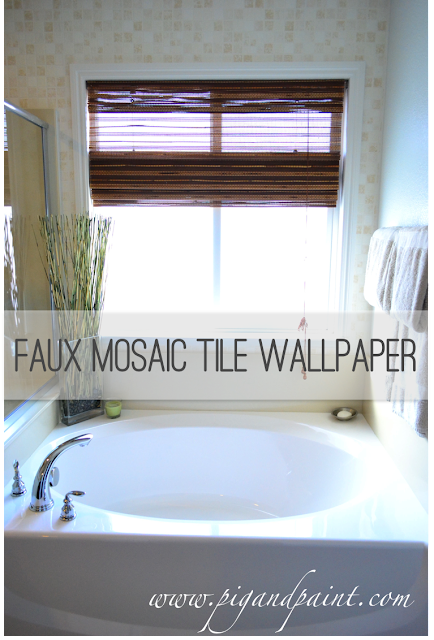 If you have orange-peel texture walls like I do, then wall liner is your friend! Wall liner is installed just like wallpaper, with the exception that it should be applied horizontally instead of vertically. Wallpaper isn't all stripes and damasks. Paintable wallpaper is wonderfully versatile and an excellent way to add texture and interest to a room. In my son's nursery, I DIY-ed a built-in window seat, flanked by bookshelves. To give the bookshelves more of a custom look, I lined the back of the bookshelves with beadboard wallpaper (available at most major hardware stores...I bought mine at Lowe's). This look doesn't require any special tools -- you probably already have almost everything you need (scissors, a sharp knife, water, and a wide wallpaper brush to smooth out the air pockets) -- and is much easier to install than real beadboard. Click here for more details. 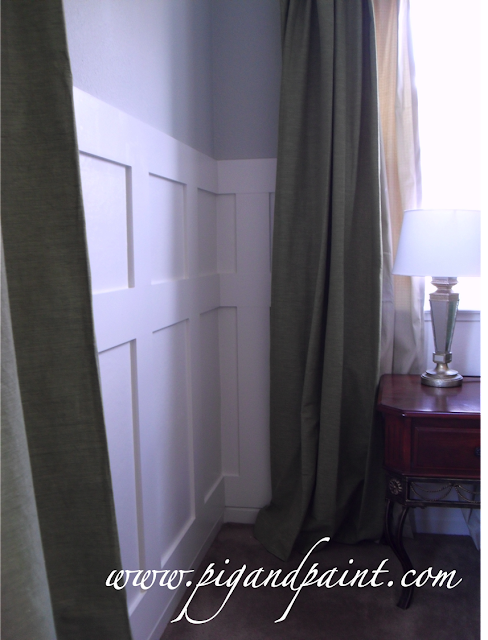 Adding board and batten is a dramatic way to freshen and brighten a room. But, it can be a pretty big undertaking for the weekend DIY-er, like myself. My walls have a pronounced orange peel texture, so omitting the "board" element was not an option for me. To save myself some heartache (and avoid having to buy/rent new tools), I applied wall liner to my walls to serve as the "board" element, and simply installed the batten on top. The result was slick, smooth walls that saved me both time and money. Click here or here for more details. Got a giant wall and don't know what to do with it? Yeah, so did I. I wanted to make a statement in my dining room, since it's the first thing you see when entering my home. But, the options for wall art / décor seemed so expensive and nothing really jumped out at me as being "right" for the room. Instead, for the price of some chunky door casing, wall liner, and wallpaper, I created my own art. I installed the moulding first, and then added the wall liner and wallpaper. Wall liner was necessary, again, because my walls are super textured. By applying the wall liner first, my decorative wallpaper didn't show any of the underlying lumps and bumps. Click here for more details. Chalkboard paint is all over Pinterest these days, but has anybody ever tried using chalkboard paint on textured walls and then tried writing on said wall? Ahem, I have. It ain't pretty. Wall liner to the rescue! I added wall liner to the floating chalkboards I created in my home office, and then simply painted over the wall liner with chalkboard paint. The result? A smooth chalkboard surface, perfect for jotting down quick notes. Click here for more details. I know we already talked about lining bookshelves with wallpaper, but my latest project showcases a method that's a little more in-your-face. The beadboard wallpaper we discussed earlier was subtle. The blue and shimmery gold damask wallpaper? Not so much. But once you add books and style your shelves, the end result is delicious. A roll of faux tile wallpaper will set you back about $13, but used sparingly and strategically, it can have a million-dollar effect (ok, maybe more like a couple thousand dollars). Make sure you caulk around the edges of the wall afterwards, as well as in between the seams of the wallpaper -- this will make your tile wallpaper job look polished, seamless, and real. It also creates a tight seal, so that moisture can't lift the wallpaper or cause mold issues underneath. Click here for more details. Are you pro-wallpaper or anti-wallpaper? How have you used wallpaper creatively?